Happy NSD everyone! Erin and I are excited to be co-hosting an Ad Challenge. Whether you see an ad in a magazine, newspaper, or billboard or if you see an ad pop up on your laptop; ads are everywhere. 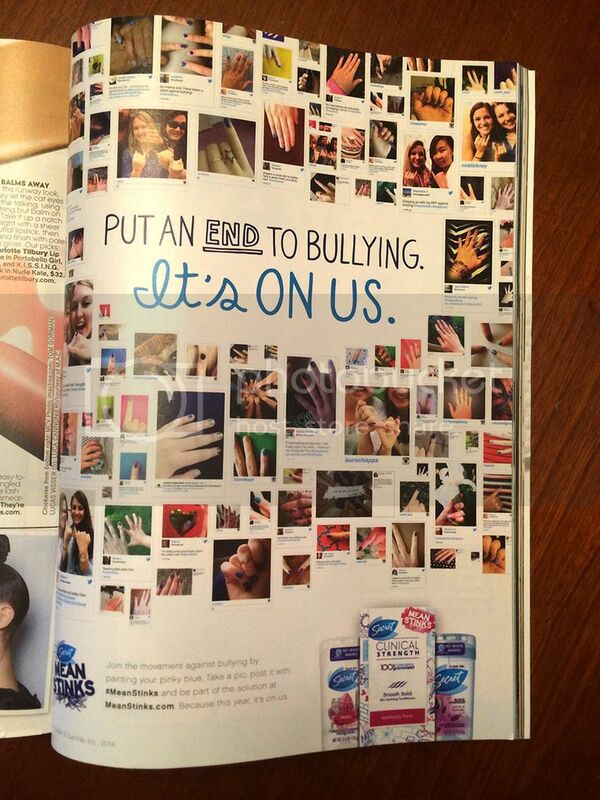 Have you ever seen an ad and thought "That would make a great scrapbook page!" Well that's the theme of our Ad Challenge. We are challenging you to find an ad that appeals to you in some way (design, color, theme ... whatever!) 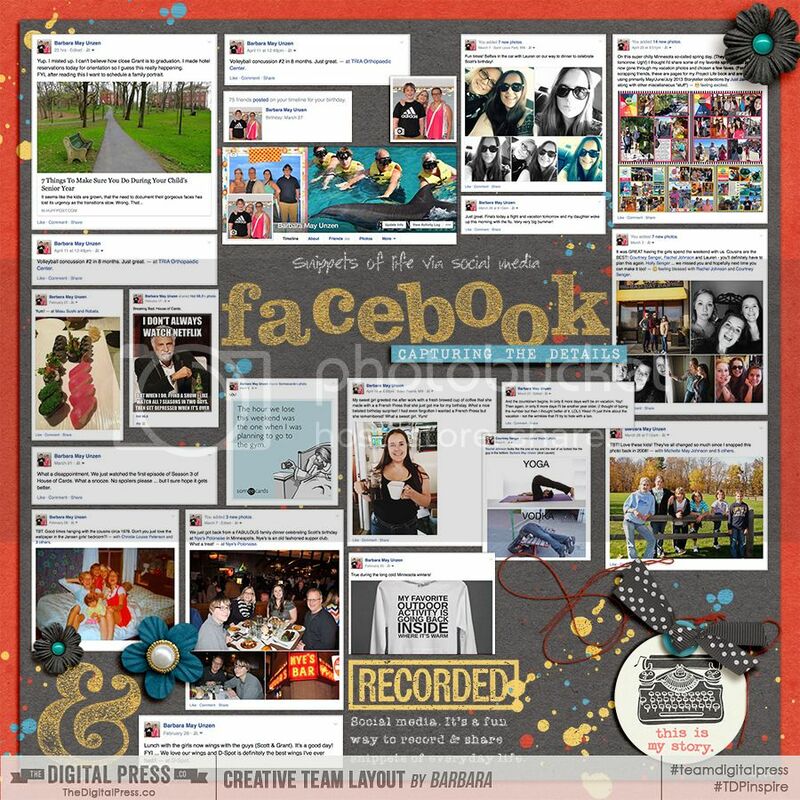 and create a scrapbook page inspired by that ad. You can use the ad I chose for my layout or you can use any other ad that appeals to you. 1. Find an ad that inspires you (or use mine if you would like). 2. 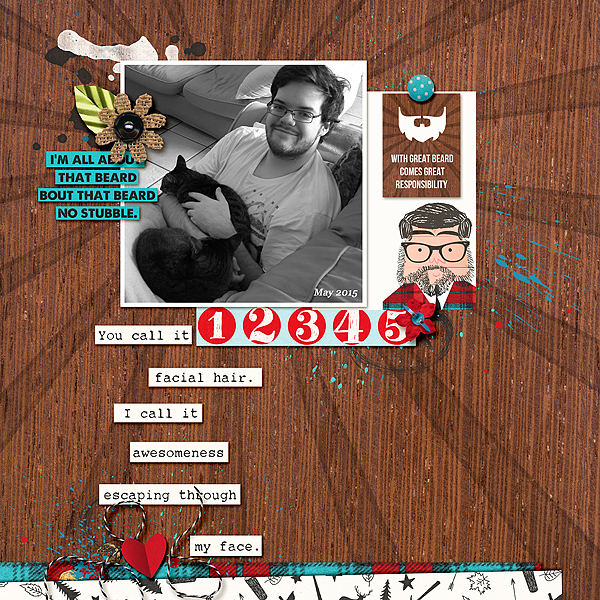 Create a page (or card - whatever!) using 100% TDP products (including designer freebies). 3. Load your layout in the Challenge Gallery no later than 11:59pm EST on May 8, 2015. 4. Link your layout here in this thread. 5. Don't forget to share the ad you used for inspiration! A random winner will be selected to receive a $5 gift certificate to Simply Tiffany's shop here at TDP. We can't wait to see what you come up with! I know I had a lot of fun looking for an ad and creating my page. I hope you do too! Last edited by Barbara Unzen; 04-30-2015, 02:14 PM. Hi all! I thought I'd share … I've been asked by a couple of people how I got the Facebook screenshots I used on my page. Usually when I use Facebook posts on my pages I will use a screenshot that I take from my iPhone and then I pull that onto my page. For this page I used screenshots from my Mac. I didn't do it from my laptop for any particular reason. Well, actually, now that I think of it, I did it from my laptop because I was going to take so many screenshots and I didn't want to have to transfer them all from my iPhone to my laptop. Lazy I guess! LOL! If you can do a screenshot of just a portion of your screen that's the easiest. (On a Mac that's CMD+F4). If you have to screenshot your entire screen you can either crop it up in PS and pull then pull that onto your layout OR you can pull the entire screenshot onto your LO and then clip it to the shape you want to use. he he! I am one of the gals who asked! now I want to go try it! Thanks Barbara for the inspiration! I can't wait to see what you come up with Alina! Oh, nice! i just LOVE all those happy faces! It goes right along with the happy colors of the kit! I've got an ad picked out that appeals to me. Will post my page in a bit. Fun challenge! WOW Vicky! LOVE all those happy photos! - and your little man there is TOO cute! This is super cute. I love the blocked style! Those colors are awesome! Vicky ... what a great idea. I love that you did a page with a bunch of places you've visited. What an awesome idea for a page. That Seuss quote is perfect to! What a terrific challenge!! You guys are rocking it! I took my inspiration from this, converted my photo to black and white and added just a little pop of colour. he he! LOVE it Stefanie! So fitting in so many ways! What a fun page Stephanie! Thanks a lot ... now I've got that song stuck in my head (with your words!). LOL! LOVE seeing all these - Thanks so much for playing everyone!